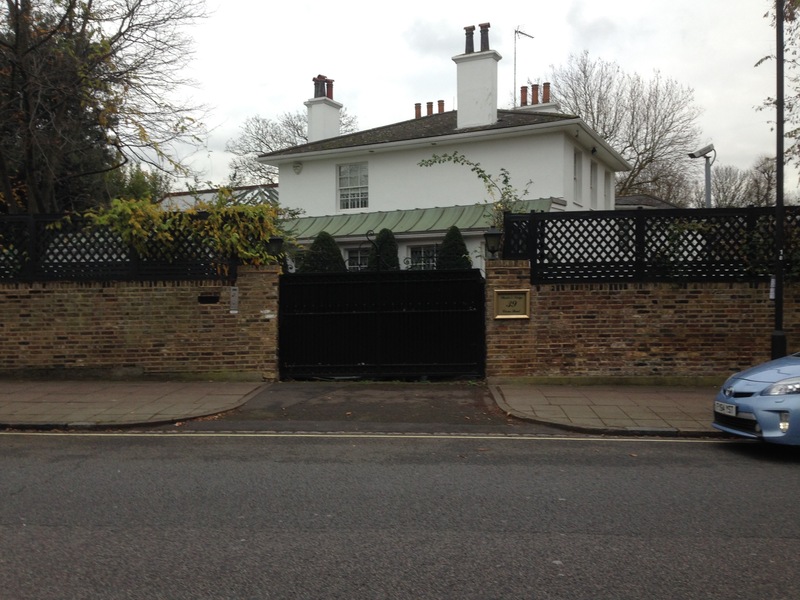 When I was three months old we moved into 39 Circus Road, St John’s Wood….the house was built in 1809 for a Miss Sinderby, Lord Leconfield’s mistress and stood on two floors surrounded by three-quarters of an acre of garden and a wall. Nine bedrooms, three bathrooms, a library, a drawing room and a gallery which had been built on for cricketing lunches due to the proximity to Lord’s cricket ground, a dining room, four cellars for various purposes, a kitchen, a pantry, a large servants’ sitting room and, best of all, along the whole of one side wall ran a covered loggia with Spanish-style brick arches. There was a tunnel under our house which dated back to Elizabethan times. Babington, a Catholic gentleman who had plotted against Elizabeth 1, ……….had been captured at the bottom of the garden..
St John’s Wood in those days was a real village; we had two butchers and one kosher one, three greengrocers owned by a family of Sicilians called Salamone, a MacFisheries and a proper fishmonger called Mr Brown. In those days every London fishmonger had a tank of live eels and because of the Jewish community Mr Brown also sold carp and gefilte fish. There was also, unusual for those days, a large delicatessen with barrels of pickled cucumbers and herring and all sorts of mid-European sausages.